A recent publication in the Frontiers in Neurology, expands on the growing body of neurological examination of extreme pain and trauma in infancy, and soon after birth, and its triggering implication on SIDS. In "A 'Wear and Tear' Hypothesis to Explain Sudden Infant Death Syndrome" Eran Elhaik presents the following material on infant genital cutting in the United States and its relation to the atypically high SIDS rate in the U.S.
We also predict that neonatal male circumcision will account for the SIDS gender bias and that groups that practice high male circumcision rates, such as USA whites, will have higher SIDS rates compared to groups with lower circumcision rates. SIDS rates will also be higher in USA states where Medicaid covers circumcision and lower among people that do not practice neonatal circumcision and/or cannot afford to pay for circumcision. 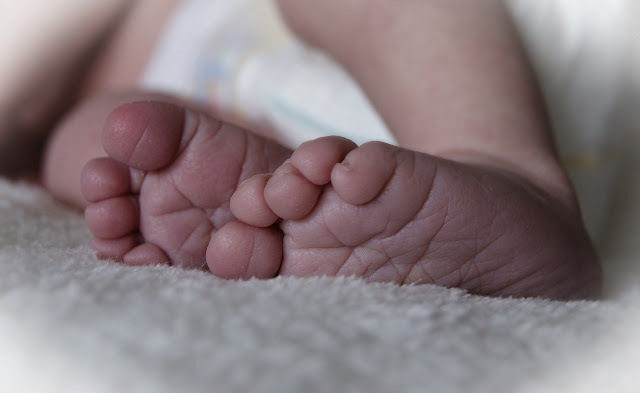 We last predict that winter-born premature infants who are circumcised will be at higher risk of SIDS compared to infants who experienced fewer nociceptive exposures. 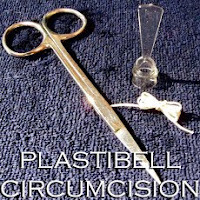 Circumcision is one of the most common elective surgical procedures in the world and is performed primarily on males (56). Female circumcision is practiced in nearly 30 African countries, some Southeast Asian and Middle Eastern countries, and in immigrant communities in Europe and North America (57). Despite its relevancy, female neonatal circumcision will not be discussed here since in most western countries it is illegal and thereby under-reported and we lack SIDS data for the remaining countries. 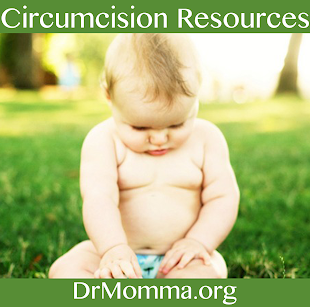 In North America, ~1.2 million male infants are circumcised every year (58) often within the first 2 days of life (59). Although not requiring general anesthesia, circumcision is an intensively painful procedure requiring adequate analgesia (60). Circumcision is associated with intraoperative and postoperative risks, including bleeding, shock, sepsis, circulatory shock, and hemorrhage (61–63) that can result in death (63, 64). 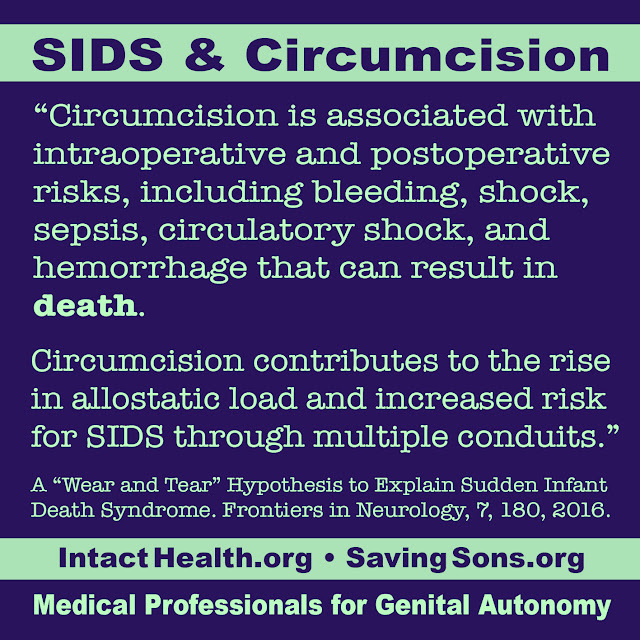 Circumcision contributes to the rise in allostatic load and increased risk for SIDS through multiple conduits. Circumcision produces crush and incisional injuries during amputation, resulting in damage to normal prepuce tissue, the associated nerves, and blood vessels. Wound healing manifested by hyperaemia and swelling at day 7 postoperative is observed in 70% of infants with minimally retractile prepuces seen in infants circumcised before 1 year of age with subsequent bacterial carriage of skin commensals (70). Circumcised males have increased pain responses to childhood immunization 4–6 months post-surgery (71, 72) consistent with central sensitization (73). The abnormal development of sensory pathways in the developing nervous system elicited by the pain during critical postnatal periods is manifested in later life following nociceptive reexposure by abnormal sensory thresholds and pain responses that are not restricted to the original site of postnatal trauma (74–76). Neonatal nociceptive exposure induces long-term hypoalgesia or hyperalgesia depending on the nature and timing of the trauma (54, 77) and is consistent with surgery and pain adversely impacting neurodevelopment independent of anesthetic (76). Male neonates subjected to circumcision can experience severe cardiorespiratory pain responses, including cyanosis, apnea, increased heart rate (82), and increased pitch (fundamental frequency) of cry (as high as 800–2000 Hz) associated with decreased heart rate variability, i.e., decreased vagotonia (83–85), a likely risk factor for SIDS. Other circumcision sequelae of sufficient severity to require emergency room evaluation or hospital admission and contribute toward allostasis include infection, urinary retention, inflammatory redness and swelling ascribed to healing (86, 87), and amputation/necrosis of the glans (88). Behavioral abnormalities, such as eating disturbance and disturbed sleep, are also the consequence of pain exposure (89). Postoperative circumcision pain of ample severity to require analgesia is expected for about 10 days for healing with incomplete wound healing past day 14 seen in up to 6% of infants depends on the device used to amputate the foreskin (88), which is also associated with various adverse events (56, 90). 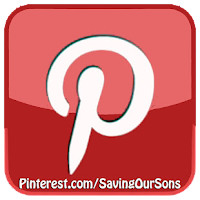 The overall complication rate for circumcision ranges from 0.2 to 10% with many USA physicians performing the procedure without formal training, being unaware of contraindications, and incapable of handling post-op complications (56, 91, 92). Lower complication rates for early and late adverse events have been attributed to underreporting with late adverse events mistakenly not attributed to circumcision (92, 93). Consequently, the low number ascribed to circumcision as the cause of death (63) may be underreported and erroneously attributed to other causes, such as sepsis (94) or SIDS. One mechanism by which circumcision may elicit SIDS concerns the inhibition of nerves involved in nociception processing that produces prolonged apnea while impairing cortical arousal. Neonatal surgery that traumatizes peripheral nerves with associated tactile hypersensitivity followed by a subsequent surgery later in development can increase spinal cord microglia signaling and elicit persistent hyperalgesia (80). It can also produce post-surgical hyperalgesia that subsequently alters postnatal development of the rostral rostroventral medulla (RVM), which controls the excitability of spinal neurons by spinally projecting neurons from the nucleus paragigantocellularis lateralis (PGCL) and the nucleus raphe magnus. Alterations in the RVM result in a descending inhibition of spinal reflex excitability on nociception (95). Inhibition of RVM neurons was shown to limit the duration of the laryngeal chemoreflex and produce prolonged apnea that contributes toward SIDS, particularly when combined with stimuli that inhibit respiration (96). In SIDS, norepinephrine, which depresses respiration, is increased in the PGCL and serotonin 5-HT1A receptor that mediates nociceptive stimuli in the brainstem (97) and decreased in the raphe nuclei and the arcuate nuclei (98). The reduction in 5-HT1A receptors observed in the brainstem of SIDS infants prompts the hypothesis that SIDS is caused by a brainstem abnormality that impairs the ability to generate protective responses to life-threatening challenges (99, 100). This hypothesis, however, does not explain why SIDS peaks at 2–4 months, rather than in an earlier GA (101). Orexin is another important regulator of both pain and sleep dysfunction. Orexin knockout mice presented greater degree of hyperalgesia induced by peripheral inflammation and less stress-induced analgesia than wild-type mice (102). In the rostral ventrolateral medulla and PGCL, orexin receptors are expressed in sympathoexcitatory bulbospinal neurons (103). A significantly decreased orexin immunoreactivity in the hypothalamus and pontine nuclei was observed in SIDS infants (104). Another mechanism that can explain the SIDS toll following circumcision is the loss of ~1–2 ounces (oz) of blood out of a total of ~11 oz that a 3,000 gram male newborn has (105), the equivalent of ~1–2 blood donations in an adult. Excessive bleeding is highly common in circumcision with reports range from 0.1 to 35% (91, 106) in neonates. However, even moderate bleeding puts the infant as risk, and, being an inherent part of the procedure, it is not reported as a complication. Blood loss of 2–2.5 oz, ~15% of the total blood volume at birth, is sufficient to cause hypovolemia and death. Since a large fraction of newborns (26%), particularly premature infants, weigh much less than 3,000 grams (107), a smaller amount of blood loss may trigger hypovolemic shock. Therefore, when bleeding an infant of low birth weight or GA, the effect may be pathological resulting in a reduced blood pressure that has been associated with obstructive sleep apnea (OSA), a condition where the walls of the throat relax and narrow during sleep, interrupting normal breathing (108). It is, therefore, not surprising that most of the deaths following circumcision in high-income countries were due to bleeding (63). While it is accepted that failure of neural mechanisms causing arousal from sleep may play a role in at least some SIDS cases [e.g., Ref. (109)], it is unclear what causes the initial failure of the respiratory control (110). Comparing the breathing characteristics of 40 infants who eventually died of SIDS with 607 healthy controls, Kato and colleagues reported that SIDS infants have a greater proportion of obstructive and mixed apneic episodes than the control group (111). Although the frequency of these episodes decreased with age, the decrease was smaller in the SIDS infants than in the controls, in support of either immature or impaired respiratory control. Looking at the data by gender, however, shows that only boys exhibit a difference in apnea frequency in support of an impaired respiratory control (111), perhaps due to circumcision. While the infant’s first environment is typically romanticized as peaceful, painless, hygienic, safe, and harmless, in practicality it may be anything but that. Already in the uterus, the fetus may be exposed to maternal substance use (e.g., smoking and drug use) associated with SIDS (19, 161). During a prolonged hospitalization in the Neonatal Intensive Care Unit that follows a preterm birth, infants may be exposed to extended and repeated pain, which thier unstable and immature physiological systems are unable to offset and will potentially render them more vulnerable to the effects of repeated invasive procedures (38). Neonatal circumcision typically involves maternal separation, pain, bleeding, and shock and, like any operation, puts the infant at risks of hemorrhage and sepsis even when anesthetic is used (67). The long-term consequences of circumcision include, among else, greater pain response to routine immunizations within the few months past birth (72). During winter time, the infant is at risk of infection and illnesses that grows with the number of household members, particularly older children (126), which explains why an elevated immune response is one of the hallmarks of SIDS (123, 128). Other common stressors may include birth trauma, birth injury, traumatic injury, life-threatening event, inadequate nutrition, heel lances, prolonged institutionalization, skin breaks, and air pollution – all contribute to the build-up of toxic allostatic load. 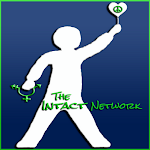 Our model represents a major departure from previous models, such as the “three interrelated causal spheres of influence model” that requires two out of three factors to act simultaneously (subclinical tissue damage, deficiency in postnatal development of reflexes and responses, and environmental factors) (162), or the more popular “triple-risk model,” which advocates that the combined effect of three factors (vulnerable infant, critical development period, and environmental stressors) causes SIDS (163). Our model posits that any infant may succumb to SIDS when the combined and cumulative effect of the environmental stressors has exceeded their tolerance level shaped by their unique genetic and environmental factors (Figure ​(Figure11). Elhaik, E. (2016). A “Wear and Tear” Hypothesis to Explain Sudden Infant Death Syndrome. Frontiers in Neurology, 7, 180. 66. Gollaher D. Circumcision: A History of the World’s Most Controversial Surgery. New York: Basic Books; (2001). 126. Guntheroth WG. Crib Death: The Sudden Infant Death Syndrome. 3rd ed Armonk, New York: Futura Publishing Co; (1995). 162. Emery J. A way of looking at the causes of crib death. In: Tildon J, Roeder L, Steinschneider A, editors. , editors. Proceedings of the International Research Conference on the Sudden Infant Death Syndrome New York: Academic Press (1983). p. 123–32.